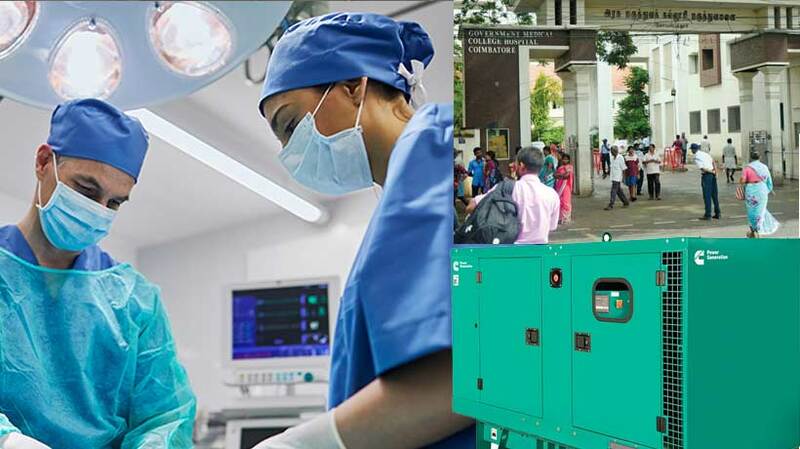 Coimbatore : As part of its 3rd Permanent Project, The Lions Club of Coimbatore Hill City today donated a diesel generator to Sundakkamuthur Government hospital, which is termed as “upgradation of operation theatre”. Social Activist, S P Anbarasan inaugurated the project, which include the generator, 10 numbers of OT cots, OT beds, Stretchers and Wheel chairs, at a cost of Rs.six lakh. The generators and other things were sponsoted by Lion Dr V Srinivasa Giri and Ln T S Kuttan, Managing director and partner respectively of Hydro Prokav Pumps, through the Lions Club. The hospital, which was upgraded three years ago from PHC can now effectively utilise the theater for carrying out surgeries with uninterrupted power supply and other latest amenities, the club president, Priya S Giri said. The Club media Chairman, S Prabhakaran and Governor B K Aruugam were present during the occasion, along with doctors and nurses.